Our third Sodwana trip (prior ones were in October 2010 and April 2011, with a Mozambique trip and a Durban trip in between) was from 26-30 April 2014. 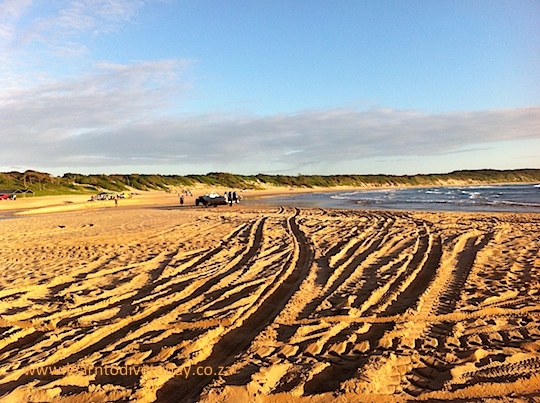 As usual we flew from Cape Town to Durban, rented vehicles (three cars between ten of us – two other reprobates drove ALL the way from Cape Town, although we suspect Shane hitched a lift on a car carrier for part of the way…) and drove the 350 kilometres from Durban to Sodwana. We stopped in Ballito for food, as we were planning to self cater. Coral Divers was our destination. Most of us had already dived with them on prior trips (Angie even learned to dive there! 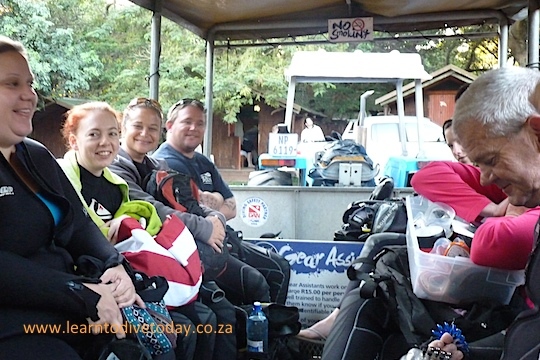 ), and their position inside the park and excellent facilities and staff led us to choose to dive with them again. They have a gazebo on the beach, regular transport between the camp and the beach, and dive planning and organisation runs like clockwork. Our only quibble this time around was that their school rental gear – which several of our divers made use of – was in quite poor condition. Matthijs tried four different masks before he found one that didn’t leak, and the well ventilated wetsuits left something to be desired. Fortunately the water was a comfortable 25 degrees! We did six dives over three days, all on Two Mile reef. This is the cheapest option, and if conditions are dubious (as they were on our first day on the water), the best option. The further reefs (Five, Seven and Nine Mile) are magnificent, but require excellent buoyancy skills from visiting divers to protect the coral there, as well as favourable sea conditions for the longer boat ride. The dives are for 50 minutes or until you reach 50 bar of air, whichever comes first. We visited mostly shallow sites (some of the Advanced divers did a deep dive on one of the days) so we were able to dive for a full 50 minutes most of the time. Because we were a group of twelve, we were generally split across two boats. 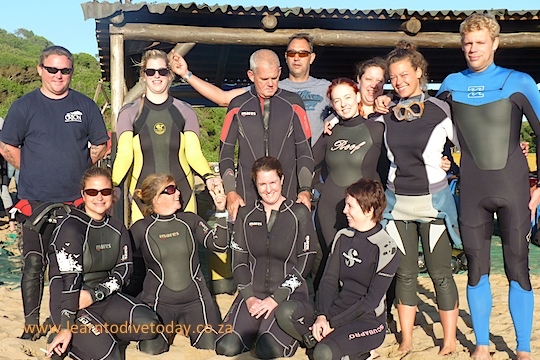 We did manage some dives where we were all together at the same site, which was lots of fun! Some of the dives were lovely drift dives, which are fantastic because you use so little air. 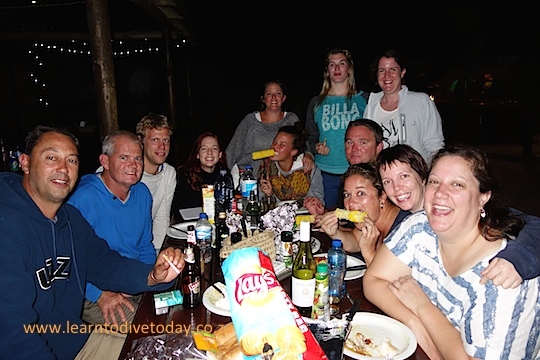 The surge (which has previously bedevilled me in Sodwana) was only severe on one of the days we dived. After our two morning dives each day, we ate and then napped (me) or went exploring. In the evenings we braaied, cooked in the communal kitchen or ordered from the on site restaurant, and actually ended up going to bed fairly early. This was partly to escape Gerard when he got out of hand (on one notable occasion! ), and partly because we were completely exhausted from our dives. We were also getting up very early to be ready to head down to the beach at 0645 each day. It was a pleasure to spend time with such hilarious and interesting people, to do lovely long, warm, colourful dives, and to walk around in shorts and a t shirt while a warm 28 degree breeze blew. I hadn’t really scuba dived since last December, so it was great to get back into it again and remember how it’s done. Unfortunately I didn’t take many (or many nice…) photos underwater, as I was struggling with my (own, not rented) mask and I also initially didn’t feel confident enough to get close to anything. 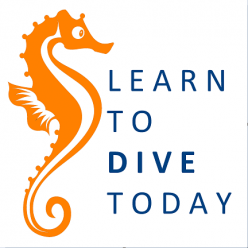 Once I settled my buoyancy – on the last day, alas! – I got going a bit more with my camera.